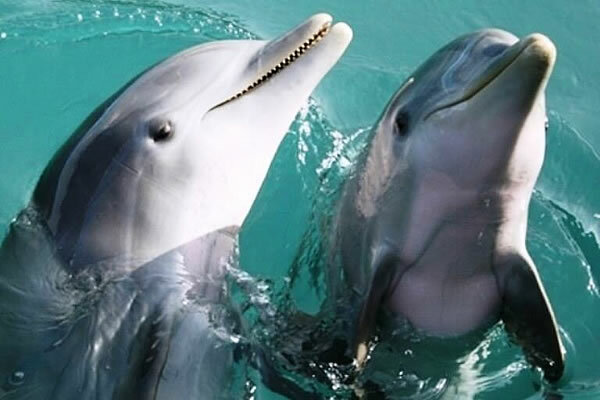 A vacation to Destin Fl is not complete until you’ve encountered our native friends – the dolphins of the Emerald Coast. One of the top things to do in Destin Fl, Dolphin and Sunset Cruises on the SunVenture give you the closest views and most up-close experiences in a personal, relaxed setting. Your Dolphin and Sunset Cruise begins with a leisure cruise into the majestic sunset from our Destin or Okaloosa Island locations. There is simply nothing like watching the sun set under the iconic Destin bridge from the emerald green waters. The ever-changing sunset is your backdrop as you watch dolphins frolicking near you. Enjoy an interactive Dolphin Tour in a relaxed, personal setting like no other. Our Catamaran-style boat puts you within arm’s reach of the crystal clear waters, giving you up close views and great pictures. SunVenture Cruises offers daily Dolphin Sunset Cruises from two locations – the Destin Harbor and Okaloosa Island. The easiest and best way to see the playful and mystical dolphins in Destin is on a SunVenture Dolphin and Sunset Cruise. Your Dolphin Cruise begins as you embark on our boat that features an open air arrangement with great seats and views throughout. Our entertaining captains will give you a narrated tour as you cruise through the pristine waters of Destin. Spend the evening enjoying the best views and spotting dolphins. The ever-changing sunset and sky is a majestic scene you have to see from the water. Take incredible pictures on your Sunset Dolphin Cruise as the sun sets over the Destin bridge. The picture-perfect moments continue as you cruise under the sun-kissed sky and watch playful dolphins swim in the emerald green waters. 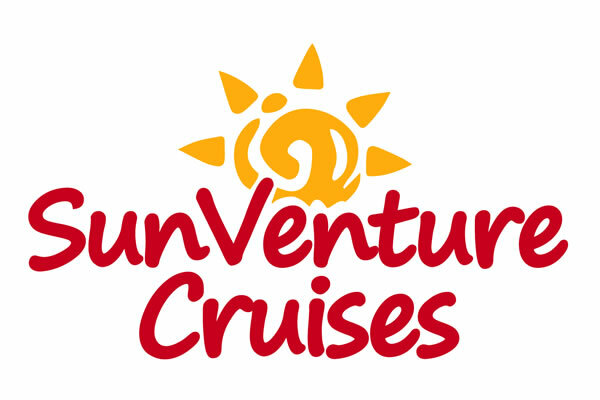 SunVenture Cruises has earned Tripadvisor’s Certificate of Excellence Award for two consecutive years, 2017 and 2018. This award is strictly based on testimonials from our guests about their cruise experiences. Our captains and staff go above and beyond to ensure our guests have unforgettable and stress-free memories on the water. Our Dolphin and Sunset Cruises are one and a half hour evening cruises scheduled regularly around 6 or 6:30 pm. We offer daily Destin Dolphin and Sunset Cruises as well as Dolphin Sunset Cruises from Okaloosa Island. Our two locations are only five miles apart. If you can’t find availability at one location, make sure to check out the other one. We also offer private Dolphin & Sunset cruises for up to 49 guests on each boat (98 guests total on two different boats). Give your guests an unforgettable day on the water to celebrate a bachelor / bachelorette party in Destin, family reunion, pre- or post-fun after your Destin wedding, girls weekend or anything else! Both boats feature shaded areas, restrooms on-board, state-of-the-art music system, open deck arrangement and deckhands at your service. Make sure to bring your Dolphin & Sunset cruise confirmation printed out or ready on your mobile phone. Double check the address of your correct location. Your Dolphin and Sunset Cruise begins with a narrated tour through the emerald green waters by our entertaining, Coast-Guard licensed captain. This is a guided, sightseeing cruise. Although we may see dolphins most of the time, it is not guaranteed. Dolphins are plentiful in our area, however occasionally they may not want to be seen.